In new version CCBoot 20180319 and higher, we have added "Additional Options" functions in CCBoot Client application. 1. System Optimization: This will disable services that are not required for Windows operations and can be safely disabled. 2. Hide Disks: This will hide the game disks in the client PC, which will prevent users from accessing the game disk and making changes. 3. 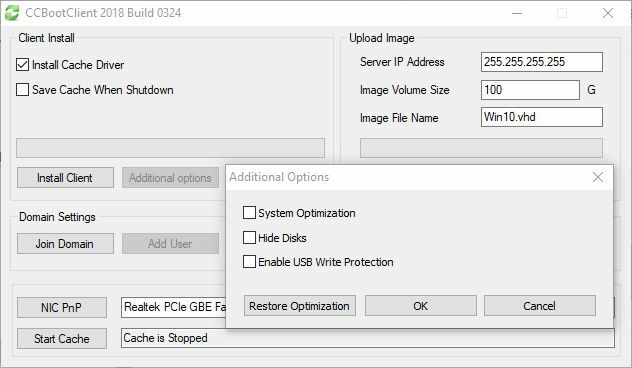 Enable USB Write Protection: This will disable the ability to copy files to the USB drives.